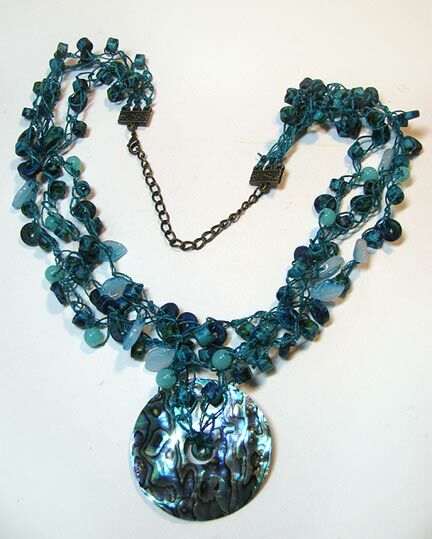 This necklace features beautiful Czech beads from my friend Ekaterina at The Best Beads. 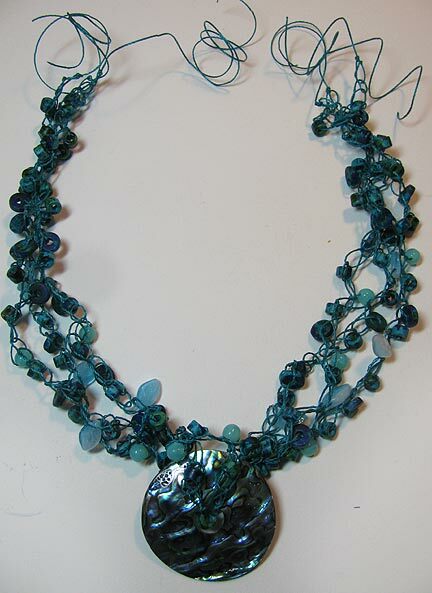 I designed it not only to show off her beads, but also to show you a way to take your basic stringing up one notch: by adding some very basic crocheted chain stitch! 1. 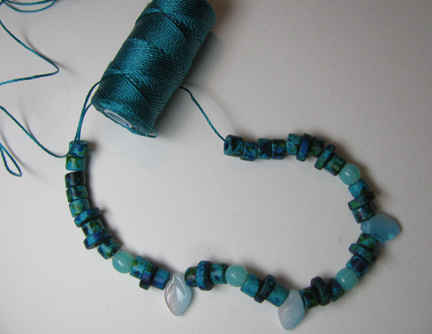 Thread beads onto the cord without cutting it from the spool. 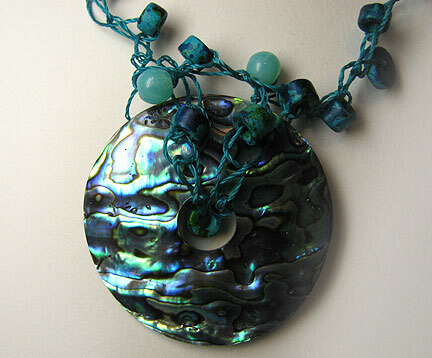 You'll need to experiment a bit to figure out how many beads you'll need in order to obtain the proper length. I made 3 strands, one with a few extra inches of small beads in the center so that I could form a lark's head knot around the donut. 2. Crochet the strands by crocheting a few chains to start out. 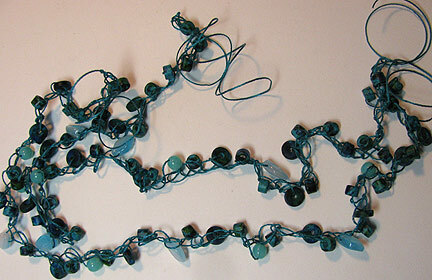 Then crochet around a bead, form another chain with no bead, and crochet around the next bead. Alternate across the strand, ending with a few chains. 3. Use the longest strand to form your lark's head knot around the donut. Anchor the knot by slipping a few beds from the knot through holes in the strand. 4. Twist all the strands together as tightly as you wish. 5. 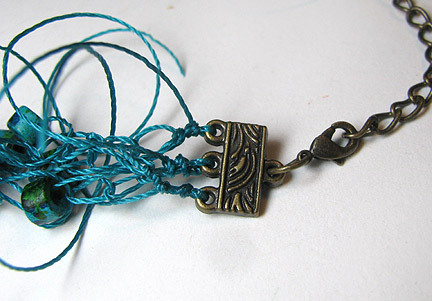 Tie the ends to a chain and clasp set. Glue the knots and allow to dry completely before trimming the ends.